<Mapping the rainforest? I’ve got an app for that. This post is part of the Anthropology Blogging 101 series. I started Anthropologizing in 2011 after I finished grad school at The University of Memphis. The purpose of my blog wasn’t really defined at that time, but I knew I wanted a place to talk about all things anthropology and my evolving understanding of how to “do it in the real world.” I also knew that it would be important for me to have a blog to build my professional brand and credibility. As time passed, I began to develop a clearer idea of what I wanted the blog to be about, without limiting myself in terms of content, style or audience. In addition to being a place to reflect and a professional tool, I now also see it as a place to share ideas and start conversations. My primary interests include user experience, technology, business, research methods, applied anthropology, organizational culture, career design, and American culture. I have written about all of these topics to some extent, though I tend to focus most often on user experience (UX), research methods, business anthropology and careers. Since I began my career, Anthropologizing has provided a way for me to talk about my experiences working in all kinds of businesses, with all kinds of people, researching all kinds of topics, and working on all kinds of problems. One of my goals has been to write about working as a practicing anthropologist, starting with my first job out of grad school at State Farm, through freelancing and working at a design agency to being a lead UX researcher at a health care start-up. I often discuss how I actually go about practicing anthropology in my work, and the practice-, theory-, and career-related issues that come up for me in the process. Examples include inviting stakeholders into the ethnographic research process, approaching the workplace like a field site, advocating for anthropology in the workplace, selling the value of ethnography in business, and communicating with stakeholders. Not all of my writing focuses on research and careers. Sometimes I’ll write casual observational or commentarial posts on topics that pique my interest (e.g., an exploration of an urban Target store, extreme couponing.) Other times, I’ll do something more in-depth and analytical with ideas that ignite my anthropological fire, like this post about Olive Garden’s top-down approach to fixing its restaurant culture and brand. I also have an ongoing interview series called Anthropologists in Practice, featuring anthropologists who work in various fields outside academia. The goal of this series is to provide a source of information and inspiration to anyone who is interested in anthropology careers, and to promote anthropologists who are the forefront of applied/practical work. The practitioners talk about everything from anthropology training and applying anthropological skills, to specific job functions, workplace ups and downs, and advice for students on getting a job. So far, the series has 22 interviews with anthropologists in fields as diverse as social work, health care, architecture, urban development, community organizing, housing, library studies, indigenous arts, design, business, software, natural resource management, filmmaking and freelance research consulting. I plan to continue the series and am currently seeking folks of all experience and degree levels to interview. I am also considering turning the series into a podcast. Although I’ve been primarily responsible for the blog, I am trying to engage others in the anthropology community by inviting them to write guest posts. A good example is David Keyes’s January 2015 article about using Evernote as a tool in fieldwork. So far, it has the largest amount of traffic of any post on Anthropologizing this year, in part because Evernote picked up on it and shared it with its 350K+ Twitter followers. I’m always looking for guest bloggers who are interested in contributing. 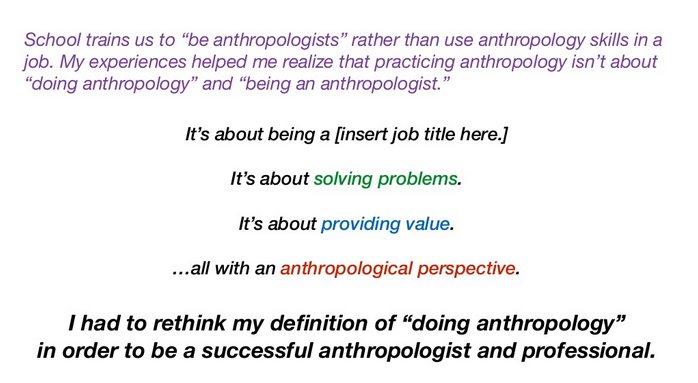 Applied anthropology, simply put, is using an anthropological perspective in problem solving. I work in a field called User Experience (UX) as a design researcher. Design researchers (also known as UX researchers) often work in technology and product design, and conduct research to understand the people who are being designed for, so that products and services meet actual needs and solve actual problems. 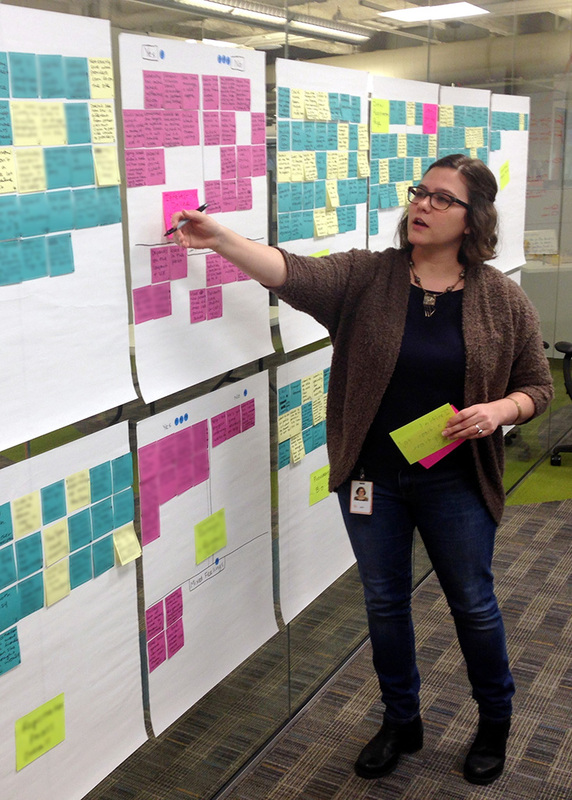 I use a range of methods and approaches—from exploratory, contextual research to highly structured concept and usability testing—to explore domains, validate and challenge hypotheses, identify problems, and make recommendations for improving the user experience. Anthropology is very relevant to this kind of work because of its people-centered, iterative, holistic, bottom-up, contextual approach to understanding the human experience. As I always say, you have to understand people in order to design things they’ll find useful, valuable and enjoyable. The old ways of business and design were very top-down and driven by experts such as software engineers, marketers and managers. The new way of User-Centered Design, which is still gaining momentum as a successful approach to product development, is very anthropological in nature, even though it might not be labeled as such. I really enjoy using Anthropologizing to reflect on my experiences as an anthropologist in business and design, in part for myself, but also as a way to help others who might face similar circumstances. In the beginning, started with some posts on the difficulty of finding a job when I first graduated. After a couple years, I amassed a long list of interview questions and answers from my job search adventures. As I got more work experience, I began to talk more about what practicing anthropology in business actually looks like, and how to be an effective researcher. Naturally, a post from 2012 about how I got into applied anthropology looks drastically different than a recent post from May 2015 where I speak about applying anthropology to business and design with almost three more years of experience under my belt. This is another benefit of blogging – being able to see how your perspective changes as you move forward. I look back on some of my writing and ideas with a bit of embarrassment, but I suppose that’s part and parcel of self-growth and professional development. Both audiences are equally important to me. The anthropology audience is important because I believe practitioners should try to stay connected with the discipline and keep it moving forward, especially since there are still those who think academia is the only place to do “legitimate” anthropology. Unfortunately, students and the discipline, along with the wider world of potential beneficiaries, continue to suffer the longer anthropology avoids change. Likewise, it’s crucial to reach out to non-anthropologists because we need to make sure other people, including those with political and financial power, know the value of our skills so they want to work with us and hire us, and see our viewpoints as important in decision-making. I strongly believe the future of anthropology discourse will continue to be more public-oriented, with more anthropologists realizing the value of working in the public, collaborating outside the discipline, and communicating with non-anthropologists and non-academics. With all the changes taking place in academia and in the world in general, blogging will become even more important for professional credibility, networking, and developing theory and methods. There are already many well-written anthropology blogs, a few of my favorites being Archaeology and Material Culture by Paul Mullins, CultureBy by Grant McCracken, Archaeology, Museums and Outreach by Robert Connolly. These anthropologists make it a point to regularly write about relevant, interesting topics within their respective areas of focus, and bridge the gap between academia and practice with a balance of jargon-free, quality writing, critical thinking, and practicality. Most importantly, they are of equal value to anthropologists and non-anthropologists alike. 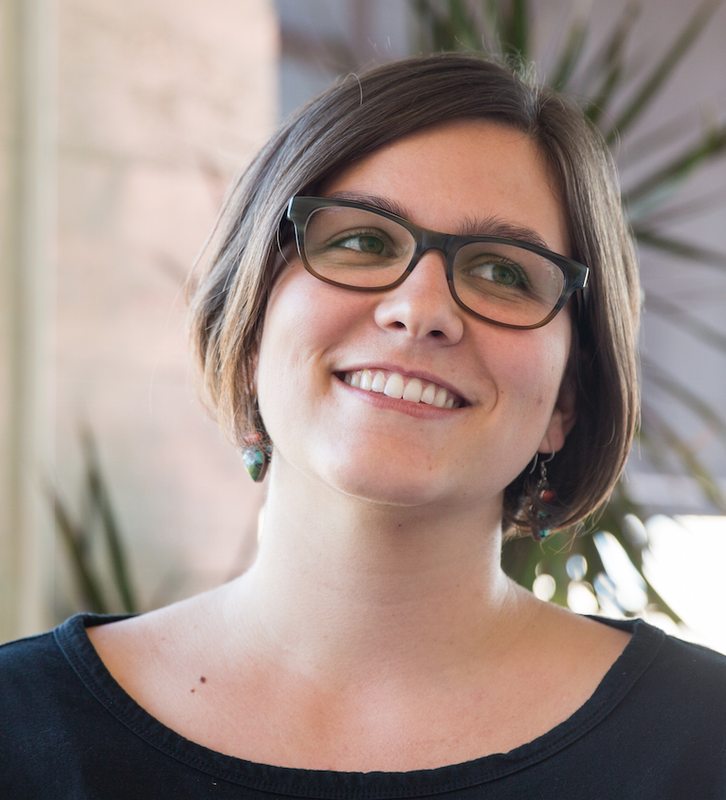 Amy Santee is a design researcher and author of the blog Anthropologizing. She lives in Portland with her partner Isaac and her four cats (Adonis, Albert, Ernest and Snowball.) She received a BA in anthropology from Eckerd College and earned a MA in applied anthropology from the University of Memphis in 2011. You can find her on twitter @amysantee or contact her directly at amylaurensantee at that gmail thingie dot com. I’m glad that there are others who are passionate about “anthropologizing!” I also found that blogging is a great tool for someone with an anthropology degree to unload some reflective ideas. Great post! Check out my guest post over at The Geek Anthropologist, where I talk about why I blog and how it’s been helpful for my career and exploration of applied anthropology. I’m a big fan of ‘Anthropologizing’! Great interview!